Have passion: this is a very competitive industry. Everyone’s CV is impressive, so tailor your cover letter and light up when you talk about the industry in your interview. It is not enough to say ‘I love books’ and don’t have an overly romantic view of the industry – there is a lot of business to it such as profit and loss. So show you have negotiation skills and that you can use an Excel spreadsheet. Communication and relationship-building skills are also vital. Show transferable skills. Understand the importance of networks: start to meet people now, whether this is professionals or peers also pursuing this industry. Do your research: when applying to publishing houses, learn about the books they publish – look at things like Amazon rankings and understand the different genres. Ask insightful questions at interviews: good examples include “What is coming out soon?” “Which books are you most excited about publishing in the next year?”. Be aware of current trends: Know who the big authors in your genre of interest are. Consider taking a job in a department that is not your first choice: once your foot is in the door you might be able to change departments. Want to work freelance? you might want to start in-house as it is very rare editors will work with freelancers they don’t know. You can start doing freelance work on the side. An MA in publishing can be useful: it gives you a great overview of the different areas, but it is not a pre-requisite, as publishing is trying very hard to be inclusive. If you want to do a professional course, ensure it is an industry recognised one. Keep going! Be resilient and thick skinned – you will get interviews. Learn from interviews you fail at and ask for feedback and put it into practise. Visit the myUCLCareers events page for the bios of the speakers. You can re-watch the event on the Themed Week archive. Find out more about upcoming Themed Week Events. UCL Careers Government & Policy Week 2018 welcomed a range of employers and UCL alumni working in government and the public sector to share their career insights and advice to students. What do they find most rewarding and challenging in their careers? What skills and competencies are important to get into and work in the sector? Find out what we learned below. Employers at our ‘Careers that Make a Difference in the Public Sector’ panel said seeing the impact they are having on people and influencing society is one of the most rewarding parts of their jobs. For example, “on the Think Ahead programme, you work with mental health and social issues on the frontline, in people’s homes, so you see the direct impact you are having on people.” An alum from the TeachFirst programme said that the most rewarding part for them was “making an impact by opening people’s eyes to the possibilities in education that they can have”. Frontline said that “producing long-term positive effects on society by building relationships with families” is most rewarding. Even working behind the scenes in the Civil Service, it was highlighted that “you have the potential to influence from the inside”. Employers discussed variety and diversity in the job – no day is the same. An alum from Police Now said their “most memorable moment was working at the Olympics” and Unlocked said “working with prisoners is funny and interesting – they are always full of interesting stories!” The Civil Service Fast Stream shared that “a great advantage to working in the Civil Service is the size and breadth of the field – it’s so huge that there’s lots of range, diversity and opportunities to progress and specialise in”. A common insight was that working in the public sector could be demanding and emotionally challenging. Frontline, Police Now, TeachFirst, ThinkAhead and Unlocked agreed that dealing with mental health patients, crime offenders, prisoners and children can be emotionally challenging: at times, they may not want to be helped and you can face confrontation. In our ‘Influencing Policy’ panel, employers stressed the nature of politics as challenging. National Housing Federation said “Politics is insanely difficult and always changing – you need to put in a ton of graft work”. Advice from Agora think tank is “aim to be a good strong voice within change”. Working on policies you disagree with is a possibility in the Civil Service Fast Stream. Their advice on dealing with it is all about perception: “If the policy is contentious, it can actually be beneficial to work on it – you have the opportunity to make sure it is implemented in the best way possible”. They also advise that there are opportunities for less policy-focussed roles in the Fast Stream. An alum who will start work as a Senior Public Policy Manager for Data, Platforms and AI for Vodafone Group expressed that “public perception can be a challenge as well as data ethics”. So, what were the top skills for the public sector? Employers emphasised that for a career in the public sector and government, you should show that you care about people. Whether you are working frontline with members of the public or influencing and writing policy behind the scenes, your work is affecting people and their everyday lives. Advice from Cancer Research is “find out what people care about and tailor your service towards them”. Relationship building was another key skill desired by employers – especially those that involve working directly with clients on the frontline (e.g. Think Ahead, Frontline and TeachFirst). In the Civil Service Fast Stream, you will move from one department to another so relationship building and teamwork is also required in non-frontline work to collaborate with different teams and people. Employers highlighted adaptability because frontline work may require you to attend emergency / crisis situations at short notice. Policy work is also difficult as politics is always changing. Agora think tank and Greater London Authority emphasised that “Brexit has left many unanswered questions about the future” so adaptability will be important. Resilience was a key discussion amongst employers across the events. Responding and adapting to political changes or perhaps dealing with clients, emergencies and crises means that the job can be demanding and emotionally challenging. Being able to recover quickly from difficult situations is crucial for working in the public sector. Speakers who attended: Agora think tank, Cancer Research, Civil Service Fast Stream, Frontline, Greater London Authority, National Housing Federation, Police Now, TeachFirst, Think Ahead, Unlocked & Vodafone Group. There are still more UCL Careers Themed Weeks coming up! Media Week is next, starting on 26 November with, Charities & NGOs, International Development, Sustainability Fortnight and Life & Health Sciences Week still to come. Visit our website to find out more about upcoming Themed Weeks. Find out about their experiences since graduating from UCL, including how they successfully transitioned from being a student to having a career in the sector. There will be a panel discussion, giving you an opportunity to hear from the diverse speakers, followed by a Q&A session, with questions from the audience – so come prepared! After this, you will have a chance to practice your networking skills; where you can ask more detailed questions to specific panellists in a safe and informal setting. Drinks and nibbles will be provided during the networking! To find out more about each of the speakers, see the short biographies below. Book now for this event happening TONIGHT as part of the Museums, Arts and Cultural Heritage themed week. We look forward to seeing you there! Nina is responsible for the sustainable development of the Museum’s art collections, spaces, programmes, partnerships and team to ensure benefit for current and future generations. 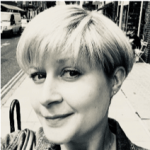 Nina is also a contemporary art curator, writer and lecturer and specialises in interdisciplinary collaborations between research & art and public art. She studied fine art, history of art and critical theory, gaining her MA from the Slade and BA from the University of Haifa. 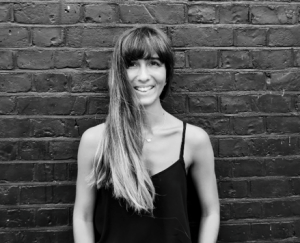 Prior to joining UCL Nina worked independently on curatorial projects, strategic planning and fundraising with artists and institutions drawing on a background in business development in the corporate sector. This, coupled with visiting lecturer contributions across the HE, built up an extensive contemporary art network nationally and internationally. She led the Cultural Heritage pathway for five years on the MA for Arts Policy and Management at Birkbeck College focusing on Museums for the 21st century, and has acted as a selector for the Bartlett School of Architecture’s Research Materialisation award since its inception and is a nominator for Prix Pictet, the global award in photography and sustainability. Dhikshana manages the Arts Council England funded Young People’s Skills Programme for 18-25-year-olds at London Transport Museum, focusing on making the cultural and heritage sector accessible and diverse. Dhikshana has 12 years’ experience with the majority of her career spent at the Science Museum, working in learning teams on everything from delivery and development to management and operations. As Trustee of the Museums Association, Dhikshana works actively on sector-wide workforce developments. Her passion lies with actively diversifying the sector, by changing and developing the whole workforce model from recruitment to exit. As co-founder and Managing Director at DigVentures, Lisa has found the perfect place to combine archaeology with over twenty years of professional experience in communications, finance and journalism, including several years as Editor of Current Archaeology magazine. With a Master’s degree in Archaeology from UCL and a prestigious Clore Fellowship under her belt, she now focuses her energy wrangling field archaeologists and harnessing brilliant creative sector innovations for DV. She is an international speaker on crowdfunding for the creative and cultural sectors and leads on the consultancy aspect of DV’s work. She is responsible for the Americanisms, absurdly strong site coffee and early morning DV dance parties. Eric Brünjes, aka ‘Brvnjes’, is a music producer and entrepreneur based in London. As a music producer, he has produced for artists such as Fetty Wap, Feli Fame, Talib Kweli, Mobb Deep, The Recipe and Meridian Dan. 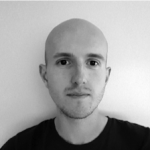 As a sound designer and composer, he has composed for Adidas, Puma, M&M’s, Schuh and Honda. In 2018, he recorded the backing arrangements for Ariana Grande’s live show. He also runs Attack Magazine which is dedicated to dance music lifestyle and production. Attack released the book ‘The Secrets of Dance Music Production’ in 2016. Attack is publishing several other titles in 2019. Eric is based in London where he lives with his wife and young family. Jonathan Franklin read classics, then took a Master’s in Library and Information Studies at UCL. He worked at the British Architectural Library and the National Portrait Gallery, before moving to Ottawa, Canada, in 1996, where he managed the Library and Archives of the National Gallery of Canada. Since 2014 he has been the Librarian of the National Gallery in London. He has been professionally active in the Art Libraries Society of UK & Ireland, the Art Libraries Society of North America, and the Art Libraries Section Standing Committee of the International Federation of Library Associations. “I came to UCL for two primary reasons: the course modules, which resonated strongly with my interests, and for the world-class lecturers. Further to that it was great to have the experience of living in another place for my postgraduate studies. I am glad I opted to come to UCL, it ended up being a great experience and offered a fantastic opportunity to kickstart my career. Due to the setup of the course there was a wide range of modules to choose from, and as such an opportunity to learn from lecturers with a variety of interests. All were very passionate about their subjects and had a wealth of knowledge to share. I could tailor my curriculum in the way that I hoped, focusing on twentieth century German history as well as sociolinguistics. Along the way I was also able to broaden my horizon by taking modules in European history and twentieth century modern art. “After graduating, I decided to stay in London for a little longer and actually managed to find another place to stay via someone I met at UCL. I got on with finding a role in marketing, a field I had already worked in prior to coming to UCL. On the job hunt, I swiftly found a role at ClickMechanic, the company I still work for. I actually found the job ad on Tumblr of all places and, with my enthusiasm for all things tech and automotive, decided to pursue it. My initial role was a general marketing position: creating copy for the site, managing social and email channels, handling the pay-per-click ads, and managing customer relations when needed. Being the first employee to join the founders and the only one with any in-depth technical knowledge of cars, meant that I was an integral part of building ClickMechanic’s quote engine, which I still work on to this day. My course at UCL centred around German language and history, which doesn’t exactly match up with the jobs I ended up pursuing but it’s clear my studies enabled me to refine a lot of skills that gave me an edge when looking for a position. In my day to day now, as a Project Manager, I work on a variety of projects that necessitate a deep understanding of our product, customers and marketing principles. I help communicate between teams, taking a pivotal role in briefing our software developers on updates to our complex system to help push growth. In my role there is a lot of data to get my head around, both qualitative and quantitative. It’s the interpreting of all this data where my postgraduate studies at UCL has proven to be very helpful. As in doing postgraduate research, the amount of information and different types of information you have to interpret is complex in most growth-oriented marketing roles, and requires a real attention to detail. Need advice on what you want to do after graduating? UCL Careers can help. 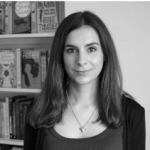 Becoming a writer: what do literary agents look for? 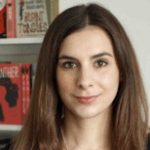 Some Top Tips from Ella Kahn, UCL Alumni and Literary Agent at Diamond Kahn & Woods. I am a literary agent, which means I scout for talented writers and help them get published; working with them to develop their novels, matchmaking them with the right publisher, and supporting their careers as authors in any way I can. I have a very close working relationship with all my clients – editing a novel to get it ready to sell to publishers can be very intensive, and it’s important that my authors understand and are happy with every stage of the publication process, so constant communication (and reassurance!) as I guide them through that process is key. And by managing all of the business aspects of getting published (negotiating contracts, dealing with finances etc), I enable my authors to focus on what they do best – being creative and writing incredible books. A strong, pacy plot is the most important quality for me, combined with a confident, distinctive writing voice. A pacy plot doesn’t have to mean constant action and cliffhangers at the end of each chapter – it might be driven by the emotional journey the character goes on, for example – but I want to have a sense of purpose and direction to the story. A manuscript will stand out if there’s an intriguing concept or ‘hook’ at the heart of the story that’s going to immediately pique my curiosity. I want well-rounded, realistic and personable characters who I’m going to care about and want to root for; authentic dialogue, and vivid, immersive world-building, so I can sink into the world of the story; and a professional, committed author who I know I will enjoy working with! When approaching agents, writers often fail to focus on the most important thing: telling us what their book is about! A cover letter should include a blurb pitching the story in the same style as the blurbs you’ll find on the back of a book in a bookshop. I want to know who the main character is, a little bit about the set-up of their world and their situation at the start of the story, what happens to set their story in motion, what their aims and motivations are, and what challenges they’re going to face in trying to achieve their goals. Something else that is very easy to avoid: not paying attention to detail! It doesn’t give a good impression if I’m sent a novel in a genre I don’t represent, or if there are typos in the text, or if my name is spelt wrong. A little bit of research into which agents might be the best fit for your work, and approaching them with a polished, professional pitch, will go a long way to help a submission stand out. Executive Producer Helen Collerton from Parable (http://parableworks.com) shares her top tips for working in the production industry. 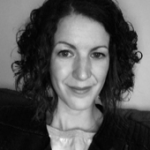 Helen is a UCL alumni and studied BA English Literature. It’s all about having the right attitude. Last year I took a poll from around 30 freelancers I work with regularly. I asked them what they had studied at university, and the answers that came back ranged from History to Anthropology, Psychology to Media, English Literature to French, Politics to Economics to Geography and on and on. Rather than devaluing your choice of study, instead this shows what I believe to be the most important truth to success in production: it’s all about your attitude, enthusiasm, and dedication. What these 30 people have in common, is that they are each a joy to work with, both in terms of skill and personality. Production is an intense job at times, and people will value passion, and a fresh and positive frame of mind. 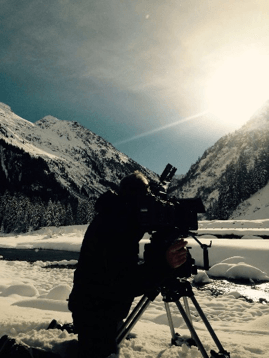 Within the film/production industry, there are many specialisms, each requiring a unique set of skills and experience. While it is of course vital to ‘shop around’ to work out what you like making, one of the best pieces of advice I was ever given, was to be aware that you only need two or three of a certain type of ‘thing’ on your CV, before you will only be getting calls to do exactly that. There is some sense to thhis – the industry changes so rapidly, that you do need to be regularly making food programmes/natural history documentaries/sports broadcasting/commercials etc. to ensure you are moving at pace with your specialism in terms of technical kit, processes, and talent. Know what everybody else does. You are going to become better at what you do, and easy to work with, if you put some effort and research into understanding the roles of the people working around you. Whether you are working as a runner, a researcher, or an executive producer, if you understand the details of each part of the puzzle, and the various pressures, stresses, and focus points of your colleagues, you will become a more valuable member of the team. You will also find that you learn more, and that you learn faster. The word ‘hierarchy’ should not apply. This is a big one. There are hundreds of different roles in film and production, and while some are more complex, or require more experience than others, the words ‘hierarchy’ or ‘senior/junior’ should not apply. This is for two reasons: firstly, everybody started as a runner, a driver, a tea-maker, a dogs body or an assistant. Everybody has been where you are, and the only thing separating you from the people with more responsibility than you, is years of experience. A well-run and welcoming production team should make you feel that this is true, because it is. Secondly, a brilliant ‘anything’ is invaluable. No cog on the wheel or link in the chain is less important than any other – every project relies on people at every stage of the process doing a brilliant job. You’re just as important as everybody else. Sometimes I think that when people talk about the film/production industry, they make it sound like a very hard place. The reality is that if you surround yourself with lovely people, it is a genuinely amazing place to be. In order to keep yourself sane and safe, remember that you are only as good as you are strong, healthy, and happy. Part of the job is looking after yourself – I’m a firm believer in not working with people who don’t treat you well, and in relaxing and having fun whenever possible. A series of lunchtime talks and experiential workshops providing insight, advice and interactive opportunities to engage with all aspects of careers management and navigating selection processes no matter where you are in your careers thinking. From understanding the graduate job market to career decision-making; mock aptitude tests to interview success; finding and funding a PHD to getting to grips with Linkedin and social media – the programme aims to equip you with the essential know-how to begin to move forward and engage more confidently with ‘Finding your Future’. Did you know that the average employer can spend less than 30 seconds assessing a CV? Is it true that some employers ignore personal profiles? Should a CV be more than just a life history of everything you’ve ever done? Find out how to market yourself effectively in a UK CV in this interactive session. We’ll simulate a CV sifting exercise allowing you to ‘sit in the recruiter’s shoes’ and assess multiple CVs under time pressure. Understand how to create a strong first impression, keep the reader’s interest and make your evidence ‘relevant’. Do companies use ‘killer questions’ to sift out weaker candidates in application forms? Does a recruiter pay more attention to a CV or cover letter? 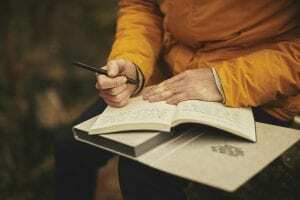 What’s the difference between a ‘functional’ and a ‘narrative’ personal statement? In this interactive session, we’ll review motivation and competency-based application answers, assess sample cover letters and personal statements and get an insider’s view on what recruiters are really looking for. Did you know that most interview questions are predictable or that what you say can be less important than how you say it? If you’ve been invited to an interview, you’ve already impressed but for most, interviewing is a daunting experience – so how can you navigate interviews successfully? Find out how to prepare ahead for the types of questions you can expect, create a strong first impression and learn answering strategies for motivational, competency and strength-based questions. We’ll critique videos of graduate-level interviews and get inside the recruiter’s head to understand what they’re really looking for. 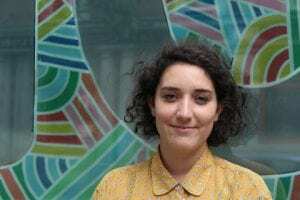 As part of our #UCLInspireMe series, Bianca shares her insight into how volunteering helped her to secure he rcurrent role at Body & Soul, an Islington based organisation that supports children, families and young people who have or are closely affected by HIV. Here she talks to us about how the skills she developed while volunteering at UCL helped her get her current role. For more insights from recent graduates working for smaller organisations, visit https://blogs.ucl.ac.uk/ucl-careers/ and search #SMEProfile. Bianca Karpf graduated from UCL’s MSc in Medical Anthropology in 2013. As a student, she volunteered with HIV charity Body & Soul, with the Council for At Risk Academics , and for international health charity Medact. I’m currently working as Public Health Partnerships & Programmes Manager at Body & Soul, a charity which supports children, young people and families living with or affected by HIV. My role involves public sector engagement, making evidence-based cases for statutory investment, project management and development and measuring impact within the charity. I am also about to start a new volunteering role as at Food Cycle, a charity tackling food insecurity through providing nutritious hot meals to those in need through surplus food donations from local businesses. I will be cooking meals and developing their community outreach. What useful skills and experiences did you gain as a volunteer when you were at UCL? So many! Patience was a key one for working with people on a frontline basis but also exercising empathy and being non-judgemental is an important skill to build trusting relationships with service-users. The experience of seeing how resilient and hopeful people can be even when they have lived through extreme hardship and terrible life experiences. I also learnt how to multi-task as I was juggling multiple commitments at the same time. How has volunteering helped you in your career so far? Volunteering as a research assistant during my time at UCL led to paid employment when the charity got a grant to develop the research. It also was great experience when I applied for research jobs in West Africa the following year. Volunteering at Body & Soul inspired me to write about HIV and the voluntary sector in my master’s dissertation. That knowledge and the fact that I was already known to the charity as a hard worker and a loyal volunteer definitely helped me to get my current job here at the charity. What would you say to UCL students considering whether or not to volunteer? Volunteering is a win-win situation really. You are helping charities to be sustainable and supporting people in need but you also gain great life and work experience and are doing something meaningful with your time. It is a great way to break out of the student bubble, and an antidote to restlessness! Volunteering puts your own problems into perspective and introduces you to people from a really broad range of backgrounds. You can volunteer in such a wide range of capacities that there is sure to be something that is your fit. It can be frontline and working with children or vulnerable adults, or you can volunteer/intern in an office gaining valuable work experience. At my current place of work we have volunteer complementary therapists, handymen, phone support volunteers and fundraisers so search what is right for you. Volunteer fairs are a great way of chatting to people from the charity and finding out about a broad range of organisations. Interested in finding out more about volunteering? Visit UCLU Volunteering Services Unit’s webpages.